Shutterfly’s purpose is to help share life’s joy as the leading retailer and manufacturing platform for personalized products. Over the last few years, Shutterfly has made big strides and key acquisitions. Acquiring the following companies has helped them extend their reach: Lifetouch, Tiny Prints ($333M), BorrowLenses, and Groovebook. I came to Shutterfly from Tiny Prints where I worked as a web/print designer for the marketing team under the original founders. 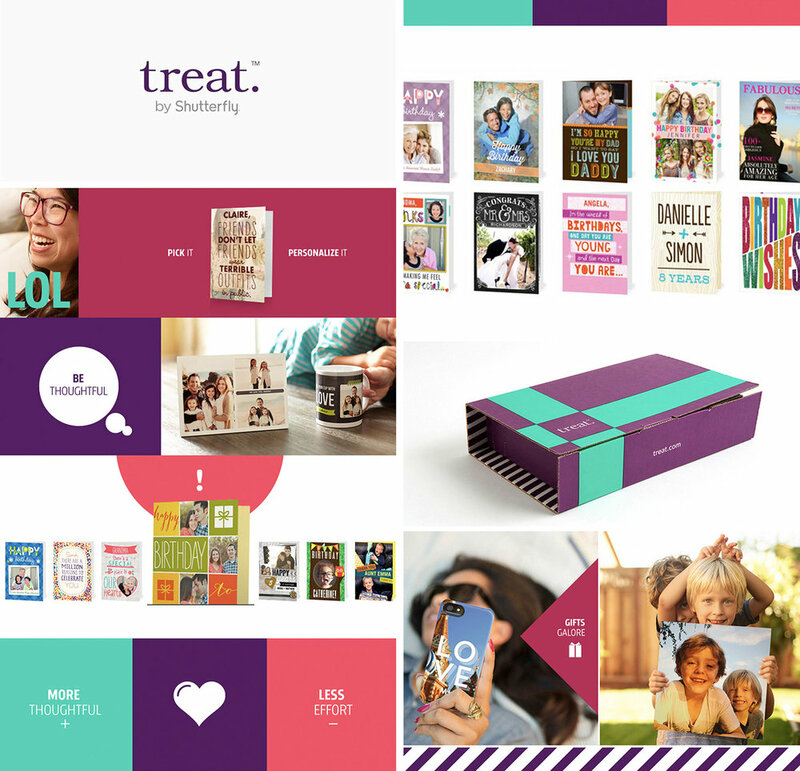 At Shutterfly, I was the creative lead for Treat, Shutterfly’s innovative greeting card brand at the time. 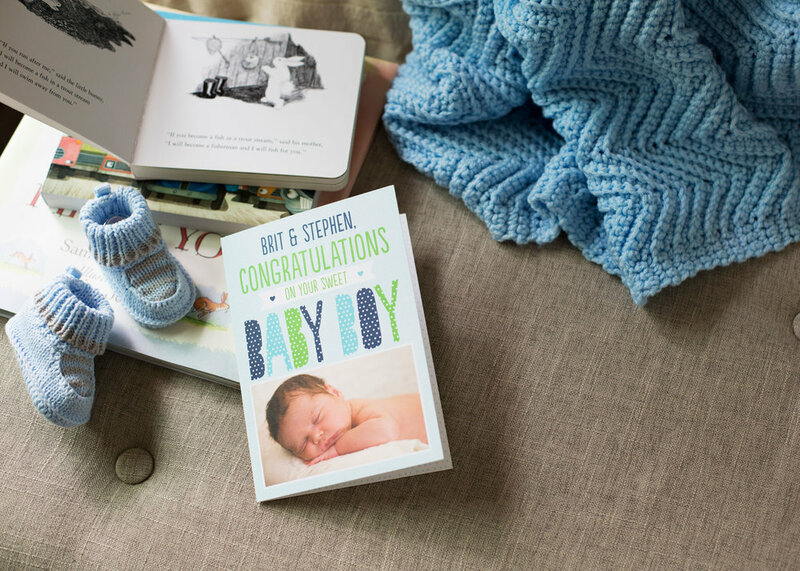 Treat’s mission was to help people create the most thoughtful greeting cards (and photo gifts) in the most convenient way possible. Features like easy (card or photo gift) personalization, convenient mailing service, and helpful event reminders made Treat really unique at the time. From a creative standpoint, I oversaw email marketing, social media marketing, website design, display ads, print projects, photography strategy (art directed/produced photo shoots), and worked cross-functionally with product developers, engineers, project managers, and marketers. 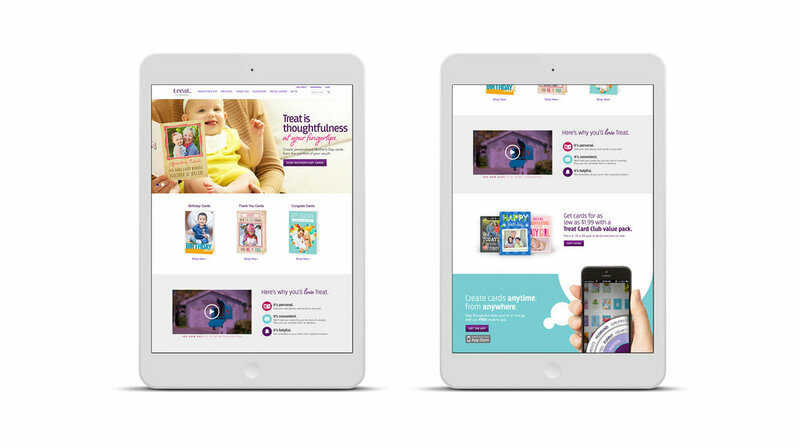 Launching Treat was a great learning experience and achievement for me as I worked with many different cross-functional teams to accomplish one goal—put the user first and create the best greeting card experience on the planet.